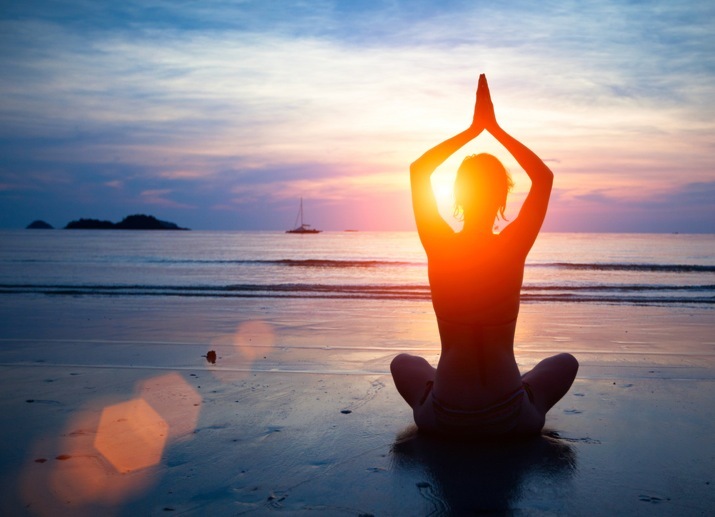 Mind, Body & Paradise – Yoga on the Beach! Various classes are available with certified yoga instructors suitable for all levels. Classes are $5, and please bring along your own yoga mat or towel. Yoga on the Beach (outdoors at 105 South 26th Street): Monday, Wednesday & Friday at 9 a.m. Saturday at 11 a.m. and Sunday at 4 p.m.
Yoga at sunset: Sundays at 4 p.m. at Sunset Park. Morning Sun Yoga at the El Governor Motel: You do not have to be a guest to come enjoy this class. Classes on Monday & Friday at 10 a.m. poolside. Restorative & Gentle Vinyasa at the Driftwood Inn: You do not have to be a guest of the hotel to come enjoy these classes. Classes on Monday & Thursday at 3 p.m. inside.